Americans apparently hate manuals, so we never received these stick shift cars. In the United States, the chances of hopping into a manual transmission car are extremely low. Only around 6.5% of new cars here are sold with a stick, and that number is dwindling fast. European countries such as the motors a bit more, but even they are starting to favor automatics. Since the take-rate for manuals is low in the states, most automakers decide to only offer automatic transmissions. This means there are plenty of cool manual models that we can't get, and we have chosen our five favorites. 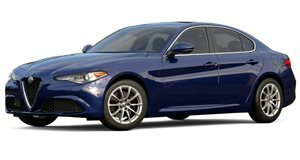 The Alfa Romeo Giulia is the most recent example to come to mind. When Alfa Romeo was marketing the new Giulia ahead of its official US release, it promised that the high-powered manual transmission only. Instead, the US received an eight-speed automatic. And nothing else. There are many reasons why this could have happened, but speculators believe it had something to do with crash testing. Now Americans must drive their automatic Giulia, knowing that some European is a bit happier than they are, rowing their own gears. 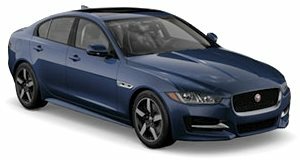 The next car on our list is another compact luxury sedan, the Jaguar XE. Like the Giulia, the XE was built to rival the mighty BMW 3 Series. Also like Alfa Romeo, it has been many years since Jaguar competed against BMW in this category, so it likely couldn't afford to offer two transmissions options in the US market. As with the Giulia, the US-spec XE is only available with an eight-speed automatic in all trims. The six-speed manual XE will remain forbidden fruit. The Mercedes C-Class finishes off our trio of BMW 3 Series competitors that don't offer a manual transmission in the states. Unlike the Giulia Quadrifoglio and the XE S, the isn't available on high performance models with an AMG badge. Those cars still use the same seven- or nine-speed automatic we get in America, so this loss isn't quite as painful as the first two. 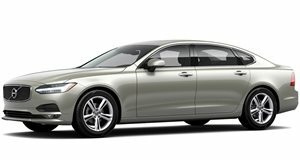 When we went looking for manual transmission cars that are only sold in Europe, we weren't expecting to find the Volvo S90 sedan and V90 wagon. We find it hard to believe that many people would order such a comfortable, luxurious car with a manual, which may be why pictures of an S90 or V90 with the manual are so hard to find. Volvo sells diesel engines that aren't offered in the states, which might be a better fit for a manual transmission buyer. The final car on the list is no longer on sale, but we wanted to point it out because how cool it is. We thought the Porsche Panamera was only ever sold with a PDK transmission, but it turns out certain markets had access to a six-speed manual. Although the most powerful turbo model wasn't available with the manual, buyers could get a RWD model with 4.8-liter naturally aspirated V8. 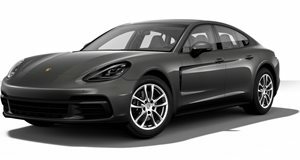 Unfortunately, the current Panamera is only offered with a PDK. Ready to buy an Italian car? Prepare for the most passionate heart-wrenching relationship of your life. 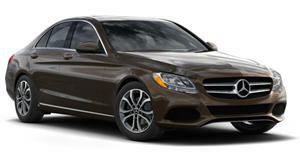 The baby Mercedes is now grown up and mature. The all-new Panamera sedan and Sport Turismo wagon get the GTS treatment. It’s the last diesel-powered compact luxury sedan standing. For some buyers, that will be reason enough. В интеренете нашел интересный сайт со статьями про https://xn--80adrlof.net. Этот классный веб портал с информацией про https://topobzor.info.